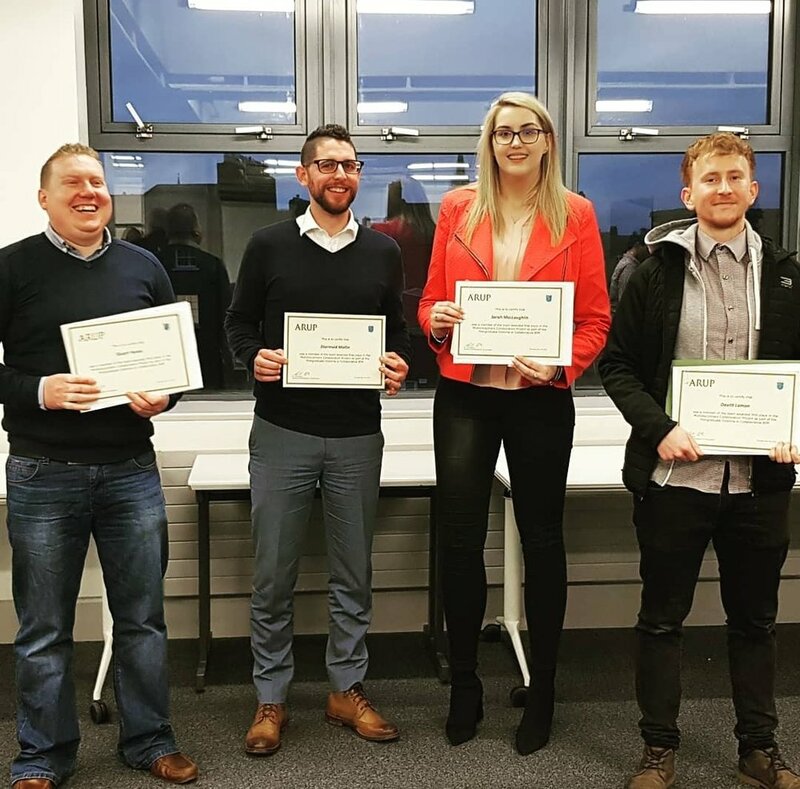 All of us at Kavanagh Tuite would like to congratulate our own Sarah MacLoughlin and the rest of her team members for achieving first place in their Msc. aBIMM Multidisciplinary Collaboration Project. Sarah is currently in her second year of Msc. Applied Building Information Modelling and Management - aBIMM and is central to our KTA BIM task force. The brief of the project instructed the team to deliver responses to an Employers Information Requirement for the proposed development of a new, three-storey Multidisciplinary Digital Design Technologies: Centre of Excellence block situated adjacent to the existing Dublin Institute of Technology building on Bolton Street, Dublin. Aiden Madden represented ARUP for the evening. Again, Well Done to Sarah and her teammates. Kavanagh Tuite Do Pancake Tuesday!